We met Mariano Karlen in Barichara, a little tiny village in Santader, Colombia. 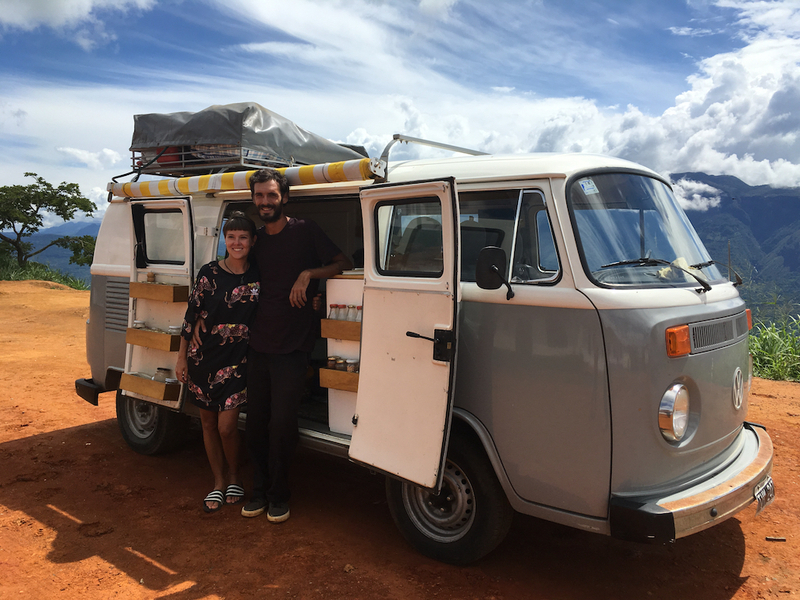 Mariano is from Córdoba, Argentina and he travels on a VW T2 Combi along with his girlfriend, Camila for about a year in South America. Mariano is a professional skater and this is how they partially fund their trip along with other creative ideas that travellers from Argentina are famous for. Skating in big cities for his sponsors and producing awesome videos enables them to create some income while on the road. You can have a look on his tricks on YouTube. He is so cool but he is so shy to admit it. He is also the curator of ConfortMag, an e-magazine dedicated to skating where you can find amazing stories, videos and pictures from the skating world of Latin America.